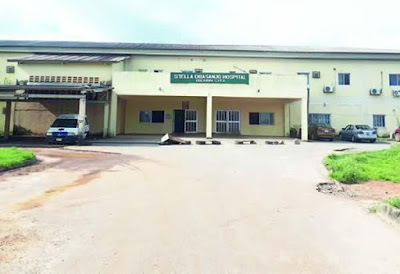 The management of the Stella Obasanjo Hospital, Benin, Edo State, has dismissed the allegation that the corpse of a former Deputy Speaker of the House of Assembly, Dr Osaretin Osadolor, was stolen from the hospital. This came less than 24 hours after relatives of the deceased stormed the hospital on Monday, alleging that the corpse had been forcefully removed from the mortuary without their consent. They called on the Nigeria Police to investigate the matter. But the Medical Director of the hospital, Dr. Isaac Omorogiuwa, told The Punch on Tuesday that the corpse was deposited in the morgue by the eldest son of the deceased, Mr Erhunse Osadolor, on July 2, after proper documentation. Omorogiuwa stated that the body was later released to the son for the burial rites since he (Erhunse) had possession of a slip given to him by the hospital for proper identification and access. He also disclosed that the late legislator was interred by his family in September. The medical director said, “The late Dr Osadolor is not missing. He was brought here by his eldest son on July 2, 2019. Our business was to keep the corpse in our morgue, nothing more than that. “The family of the deceased also followed due process and the body was released to the eldest son, who brought the body to this hospital. Interestingly, the man (deceased) has been interred by the family. Omoroguiwa further described the report and the allegation of the protesters as not only false but also embarrassing, as the state government had published their condolences in the brochure used for the burial which held between September 27 and 30. He, however, noted that the hospital would take appropriate legal actions on the case. “So, the management of this hospital, the Edo State Management Board, Edo State Ministry of Health and, indeed, the Government of Edo State are totally embarrassed by that report. We will not let it go just like that,” he added. Efforts to reach the eldest son of the deceased were unsuccessful as he did not pick calls to his mobile phone. He had also yet to respond to a text message sent to him as of the time of filing this report. But the Commissioner of Police, Mr Johnson Kokumo, said the matter would be investigated if it had been brought before the command.